They say patience is a virtue, but Shuichi Gonda must have the patience of a saint to wait as long as he has for a chance to shine. The goalkeeper’s wait has been nearly a decade, but he has finally ascended to the Japan number one jersey, and now he’ll play a pivotal role as Hajime Moriyasu’s side go in search of a record-extending fifth Asian Cup title against Qatar in the final on Friday. 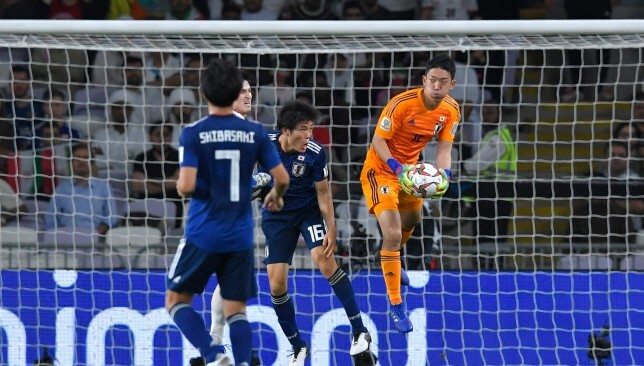 The Sagan Tosu stopper made his international debut as long ago as 2010 but has had to bide his time to fully establish himself, which he has done at this tournament and under Moriyasu, who has ushered in a new era of youth for the Samurai Blue. Gonda gained only his 10th cap in the 3-0 semi-final triumph over Iran – aged 29. After his maiden cap against Yemen nine years ago, his second came three years later, with his third only in 2015, as he had to play understudy to the likes of national team icons Seigo Narazaki, Yoshikatsu Kawaguchi and Eiji Kawashima. But now Gonda is the main man, and it is an opportunity he has taken with both hands. He had just five caps to his name coming into the tournament, where he has doubled his tally, recording four successive clean sheets in the process. Japan reached the final thanks to a flattering 3-0 win over Iran. “When it comes to protecting the goal, that’s my job,” the shotstopper told the-AFC.com ahead of the final in Abu Dhabi. He was part of the Asian Cup-winning squad of 2011, and earned a call up to the World Cup squad in Brazil three years later, but didn’t appear in either tournament as Kawashima kept guard. Almost eight years to the day that he watched on from the bench as Tadanari Lee scored in extra time to give Japan their fourth continental title with a 1-0 win over Australia, Gonda is now in a position to help guide them to their fifth. But for a crucial save from Iran’s lethal striker Sardar Azmoun when Monday’s semi-final was poised at 0-0, it might have been a different story. Juggernauts Japan may have history on their side, but Gonda is taking nothing for granted. “All we have done is progressed to the final,” he added. Asian Cup glory will be on the line this Friday when record four-time champions Japan meet first-time finalists Qatar at Zayed Sports City. After 50 matches contested by a record 24-nation field in the UAE, both teams have emerged to contest the showpiece. Samurai Blue’s new breed have gradually gained momentum throughout the event and come in as favourites, though an opponent spearheaded by history chasing, eight-goal striker Almoez Ali could cause difficulties. Football is a team game, but individual battles always matter. Japan centre-back Takehiro Tomiyasu and Qatar striker Ali are both barely out of their teens. Their influences, however, vastly outweigh their relative lack of international experience. Tomiyasu was picked in defensive midfield for the shaky opening 3-2 win against Turkmenistan. This experiment was swiftly abandoned, with Tomiyasu returning to his usual position of centre-back. In the four starts that followed for the effortlessly composed 20-year-old, no further goals were conceded by Samurai Blue. Most impressively, the Sint-Truiden defender’s seventh senior cap saw him mix it with physical Iran striker Sardar Azmoun and come out as the clear winner during the 3-0 victory. A different proposition awaits him against 22-year-old Ali. The Al Duhail forward’s searing pace and ruthless finishing has been on full show in the Emirates. A ‘super hat-trick’ against North Korea and brace versus Saudi Arabia stands as highlights from an eight-goal haul that puts him level with Iran icon Ali Daei as the record scorer from an individual Asian Cup. His placed shot that cannoned in off the post in his side’s semi-final win was his first since the group stage. Force home another on Friday and Qatar’s name could be on the Cup. Japan and Qatar might have won their last-four ties by a combined score of 7-0, but goals should be at a premium in the capital. The Samurai Blue made history at this running by winning five-successive matches by a one-goal margin. Their low-octane approach under Hajime Moriyasu reached its zenith in the round of 16 against Saudi Arabia when a 1-0 victory was earned with just 23-per-cent possession. Qatar are also a measured outfit, who are ruthless on the counter-attack. At the other end, goalkeeper Saad Al Sheeb has faced just 10 shots on target on his way to a remarkable six clean sheets from six matches. Extra time and penalties cannot be ruled out. 🇯🇵 Gaku Shibasaki feels huge responsibility to create history ahead of #AsianCup2019 final. A rivalry could be emerging that defines Asian football for years to come. Japan’s standing as a breeding ground for outstanding talent has grown, exponentially, since 1992’s first continental victory. From the breakthrough witnessed by Kazuyoshi Miura’s compatriots, then debut World Cup qualifications experienced with Hidetoshi Nakata and consolidation under Makoto Hasebe and Co.
A clean sweep followed World Cup 2018’s run to the round of 16, with Shinji Kagawa and Keisuke Honda among those to drop away. Supremacy in the UAE by Ritsu Doan, Tomiyasu and their cohorts will solidify the latest batch’s ascension. Only South Korea have been able to match their consistent ability to produce premium players in Asia. That is, until now. Doha’s Aspire Academy appears to have, finally, borne fruit. Under long-term mentor Felix Sanchez, Qatar are yet to concede in the Emirates and are top scorers with 16 goals. 2018 AFC Player of the Year Abdelkarim Hassan and Villarreal-owned forward Akram Afif – he has a leading nine assists in the UAE – are among those to provide able support to Ali. Triumph on Friday and a formative test will have been passed on the way to hosting World Cup 2022. Yoshida helped kept Iran dangerman Sardar Azmoun in check. 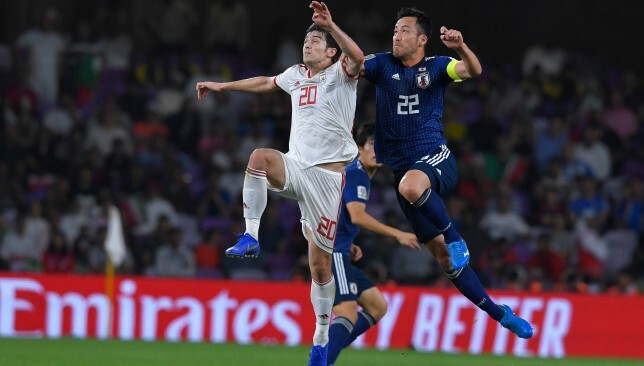 Maya Yoshida has led Japan into a fifth Asian Cup final since 1992, but insists the continental giants have to be crowned champions otherwise it “means nothing”. 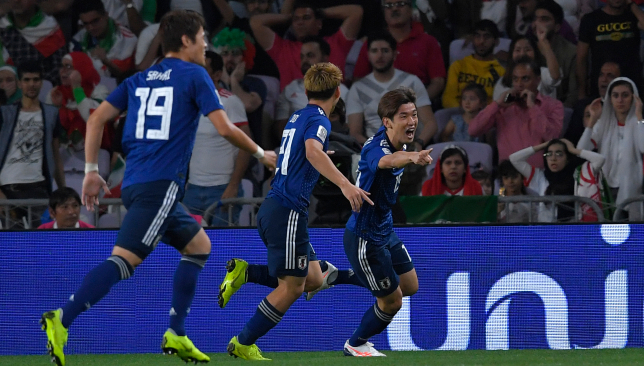 The Samurai Blue put Iran to the sword in Al Ain, Yuya Osako netting a quickfire brace either side of the hour mark before Genki Haraguchi rounded off a flattering 3-0 victory in stoppage time. Japan are record four-time winners of the Asian Cup and are looking to extend that to five in Friday’s final where they will take on Qatar. They have earned all of their continental wins inside the last 27 years and their latest final appearance will be their fifth in the last eight editions of the tournament, an unprecedented feat. Yet, progression to the showpiece means nothing unless they are victorious, declares the stalwart centre-back. “That’s what everyone expects from us,” said Southampton centre-back Yoshida when asked about his side’s progress after the game. He said: “We have to be champions. We have to win every time in Asia. In a tense and tight game in the Garden City, Hajime Moriyasu’s men went ahead in fortuitous circumstances in the 56th minute, Takumi Minamino going to ground easily in an attempt to win a free-kick. But as the Iran players stopped, believing Australian referee Chris Beath would award them a free-kick, the Red Bull Salzburg forward rapidly picked himself up and kept the ball in play. He then delivered a fine cross for Werder Bremen striker Osako to head home. It was a body blow to Team Melli, who then conceded a penalty 10 minutes later when Minamino’s cut-back struck the rash Morteza Pouraliganji on the arm as he slid in needlessly. And Yoshida admitted the Samurai Blue were ruthless and showed a cutting edge when Iran were vulnerable. “I think their intensity dropped a little bit in the second half and we knew that,” added the 30-year-old. Takehiro Tomiyasu has been excellent for Japan, belying his tender years. The skipper was also warm in his praise of the man alongside him in Japan’s backline – Takehiro Tomiyasu. 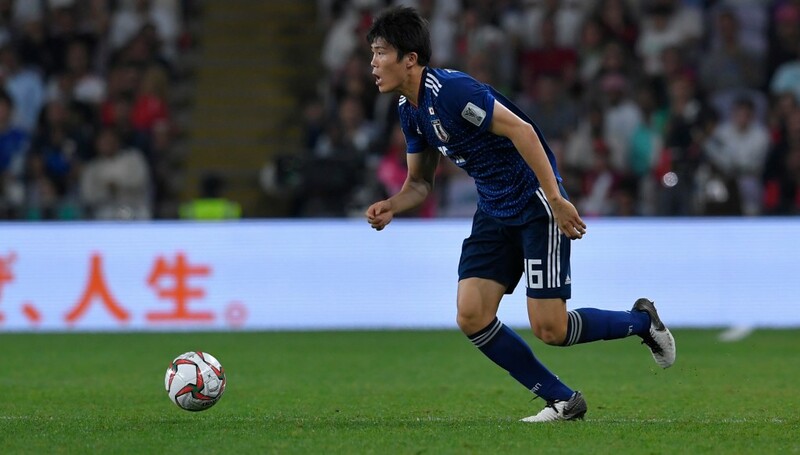 The 20-year-old, who was also imperious in the tense 1-0 round of 16 triumph over Saudi Arabia, is the joint youngest player in Moriyasu’s new, youthful squad, and was winning just his eighth cap in Al Ain. “He’s been on form throughout the tournament to be honest,” said Yoshida of the youngster, who plays in Belgium’s top flight with Sint-Truiden.